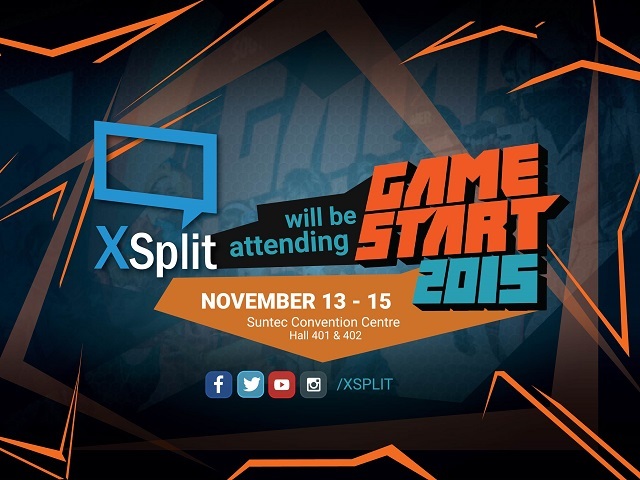 We are happy to announce that our media team will be helping out with the production of GameStart Asia 2015 in Singapore this coming November 13-15 2015. Gamestart Asia is the largest English speaking gaming convention in Southeast Asia and is getting bigger and better in it's second year! Our media production team lead by Offcast and Farp will produce the live streaming setup for the main stage of Gamestart Asia, as well as the Capcom Pro Tour Asia Finals. That makes the event completely powered by XSplit V2 demonstrating how powerful and flexible XSplit is for live event productions. If you're not going to be in attendance, you can watch the live streams at twitch.tv/gamestartasia and twitch.tv/capcomfighters. We will also be posting occasional updates on our social media channels throughout the event to make sure you're up to date.